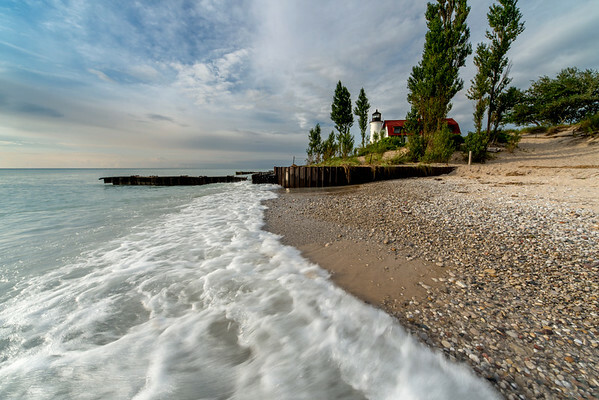 Point Betsie Lighthouse is one of the most scenic lighthouses in the Great Lakes and one of the most easily accessed. 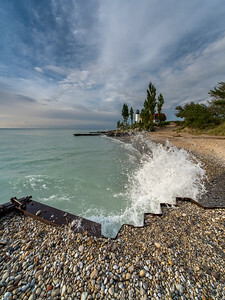 Heading north on M-22 along Crystal Lake, a left turn and one mile drive takes visitors to a parking lot just feet from the lighthouse's entrance. 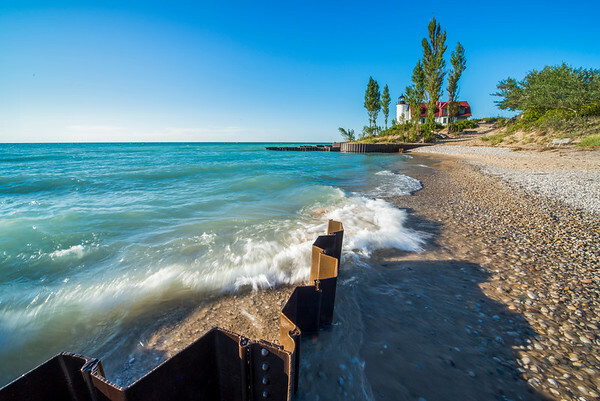 The lake shore runs unspoiled for miles to the north and south, making Point Betsie one of the best subjects to photograph on the Great Lakes. 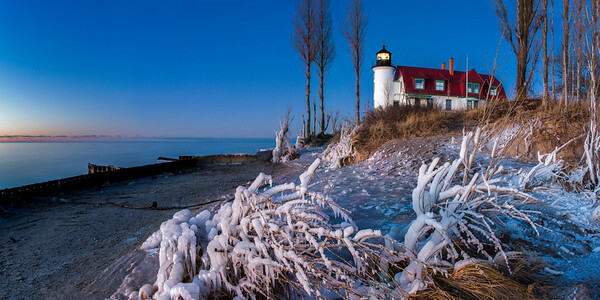 There are hundreds of angles and perspectives from which to photograph this lighthouse. 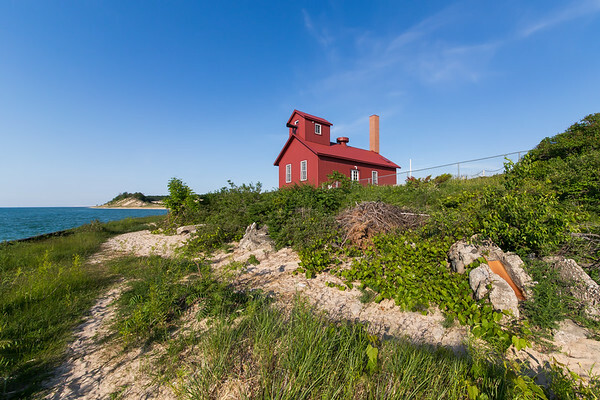 If the lighthouse were not enough, you can also tour the immaculately preserved Point Betsie Life Saving Station and recently rebuilt boat house. 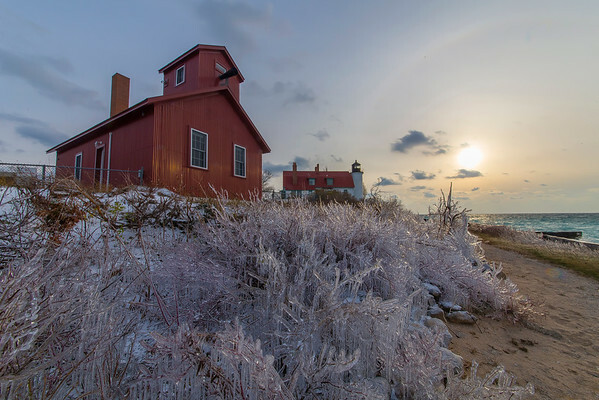 Landscape photography from Point Betsie in Northern Michigan, including Point Betsie Lighthouse and shoreline prints, available framed, matted, and shipped to your door. 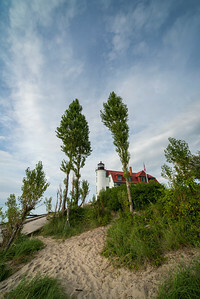 The day's last light shines in the distanxe as night sets in at Point Betsie Lighthouse. This Northern Michigan nature image is available as a digital download or print, with many framing and finishing options available. 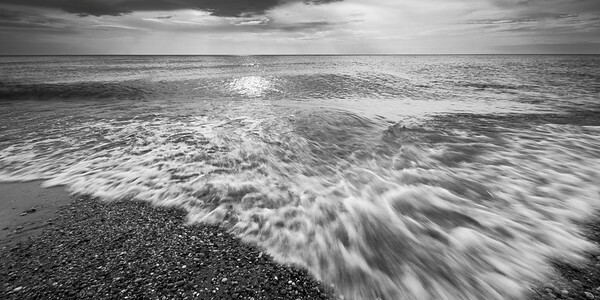 The surf at Point Betsie Lighthouse along the shores of Lake Michigan in black and white. 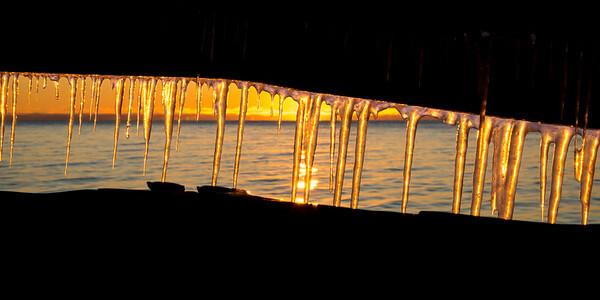 The sunsets through a slit in the seawall at Point Betsie as icicles form. 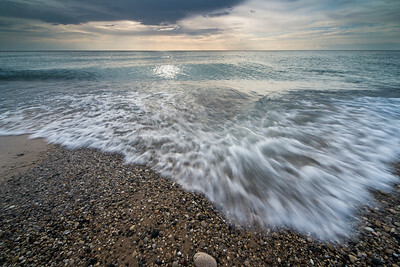 This Michigan landscape image is available as a digital download or print, with many framing and finishing options available. 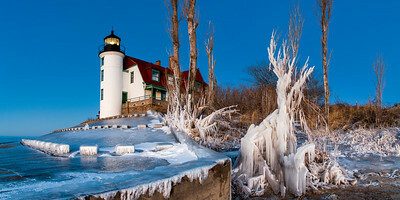 A panorama of Point Betsie Lighthouse at dusk in January. This Michigan landscape image is available as a digital download or print, with many framing and finishing options available. 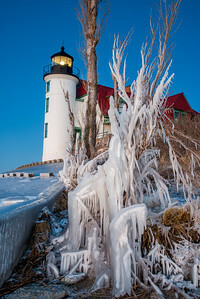 Vertical image of ice covering branches at the base of Point Betsie Lighthouse in Northern Michigan. This Michigan nature image is available as a digital download or print, with many framing and finishing options available. 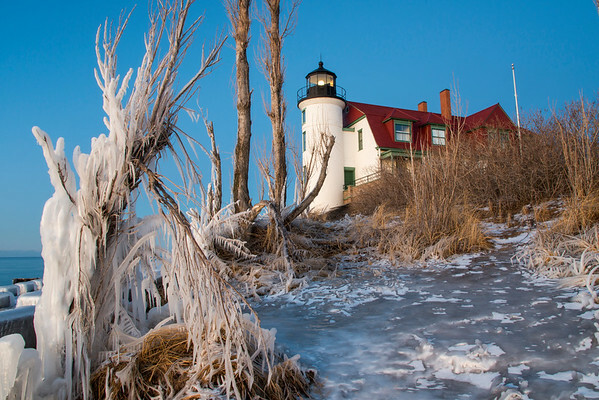 The Point Betsie Lighthouse along the shores of Lake Michigan covered in ice in late December. This Michigan nature image is available as a digital download or print, with many framing and finishing options available. 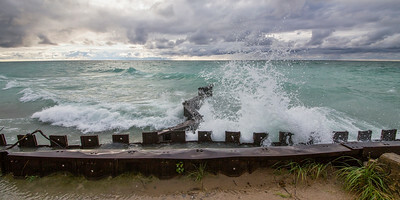 Waves roll on to shore at Point Betsie in summer. 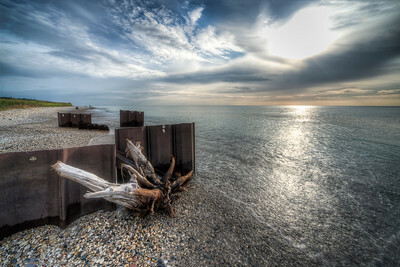 This northern Michigan landscape image is available for sale as a print or digital download. 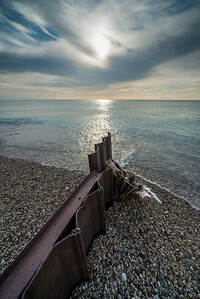 An old breakwall points directly to the sun on the shores at Point Betsie.